JEFFERSON CITY, Mo. 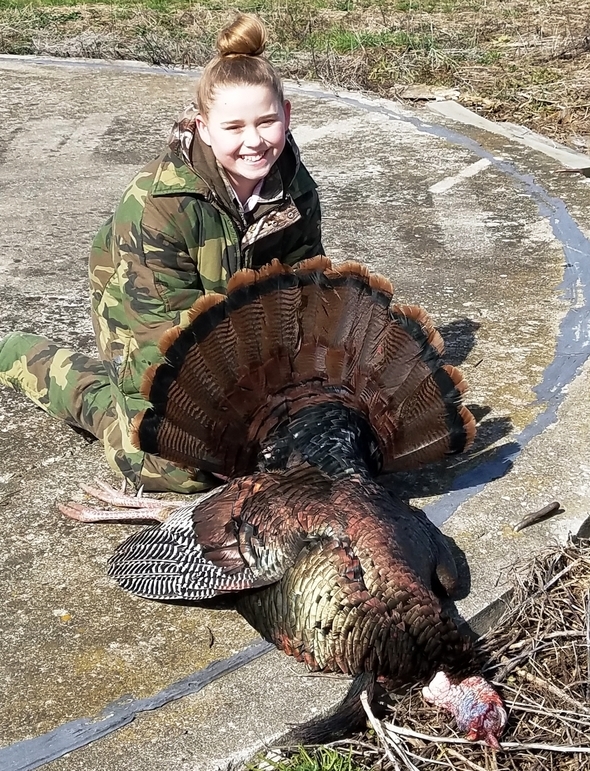 – According to preliminary data from Missouri Department of Conservation (MDC), young turkey hunters harvested 1,723 turkeys during the 2018 spring youth season, April 7-8. Top harvest counties were Franklin with 51 turkeys harvested, Miller with 43, and Maries with 43. Young hunters checked a little over 4,000 turkeys during last year’s youth weekend. MDC’s Turkey Biologist, Jason Isabelle, says the drop in harvest can be attributed mostly to unseasonably cold temperatures this weekend and for much of spring thus far. Isabelle also notes that in addition to cold temperatures this weekend, spring has been slow to get here this year causing turkeys to be a little behind schedule as far as the winter flock break-up. For county-specific information on turkey harvest, visit MDC online at extra.mdc.mo.gov/widgets/harvest_table/. For more information on the upcoming regular spring turkey hunting season, April 16-May 6, get a copy of MDC’s 2018 Spring Turkey Hunting Regulations and Information booklet, available where permits are sold, or online at huntfish.mdc.mo.gov/sites/default/files/downloads/2018springturkey.pdf. Hunters who harvest their first turkey can have the accomplishment recognized through a special certificate from MDC, complete with a photo. Learn more at huntfish.mdc.mo.gov/hunting-trapping/trophies-certificates/certificates.